The kitchen is the heart of the home where families spend much of their time. You want it to look nice. It seems nothing can compare with the rustic, natural beauty of wood. 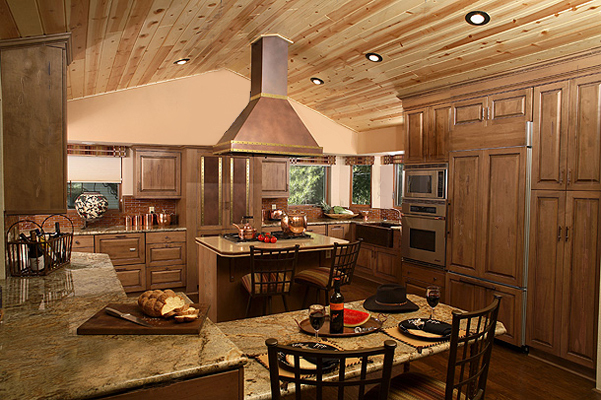 In some ways, all wood kitchens epitomize luxurious living. 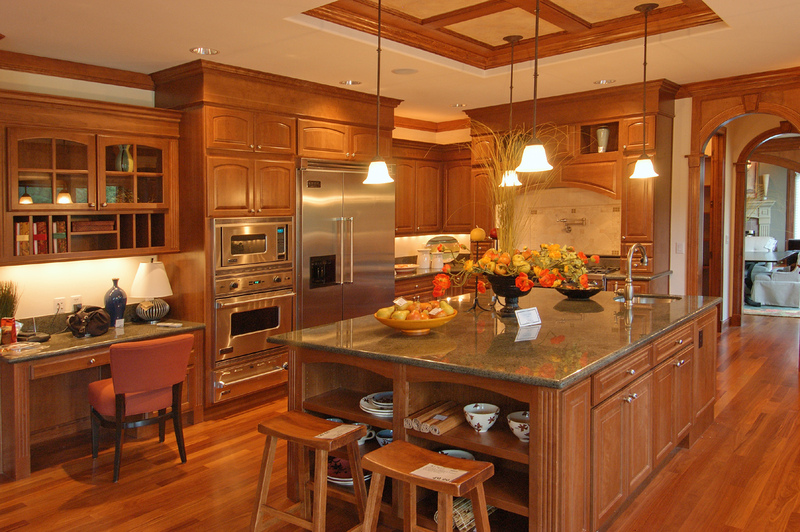 Plan carefully because a well built kitchen will greatly enhance livability and resale value. 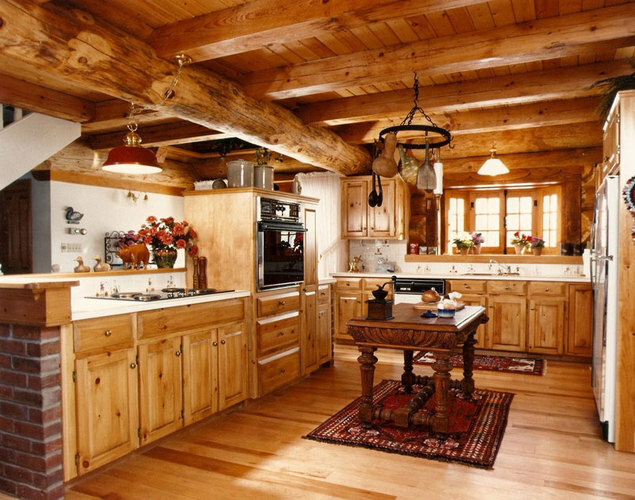 The kitchen is also the most costly room in the home, which is another reason to plan carefully. I’ve been interested in concrete counter tops for a while now. I think, cast in situ, they would be an ideal solution for the problem of curved and possibly uneven walls in a dome or roundhouse. Do you know of any geopolymer mixes that meet the requirements (2500+psi) for forming counter tops? If you can’t find a ready made brand of geopolymer, then it may not be worth all the time and research. Yes, it has fantastic possibilities, but it does take a lot of time and effort to figure it all out. I really love the design of the kitchen featured in the lower photo. 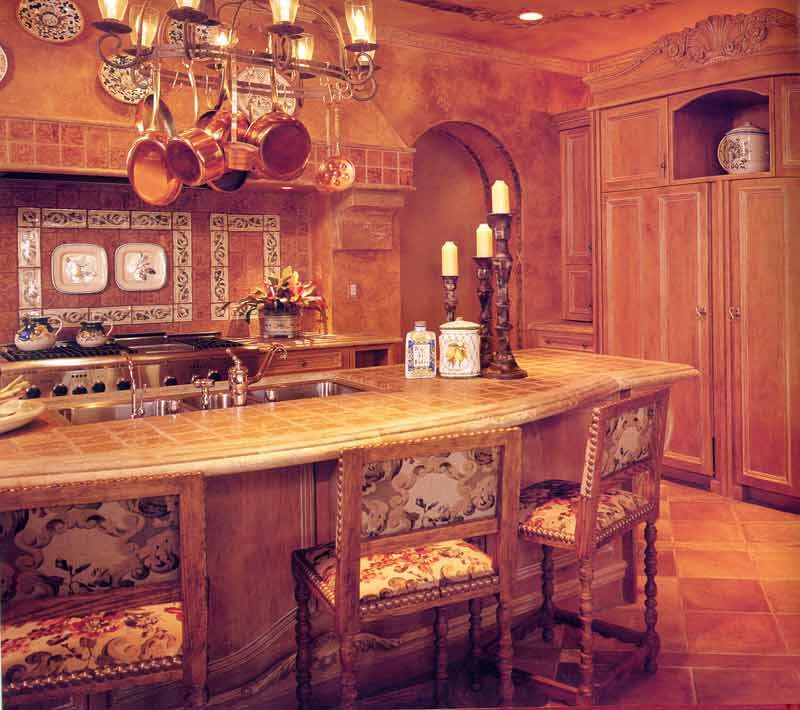 The arched window over the sink is really beautiful. I think arches soften a room and make it more inviting. Some kitchens can feel cold and harsh no matter how much you try to make them warm and inviting. Is there a website where I can view the complete layout of this kitchen?.. Cabinet sizes etc.?? 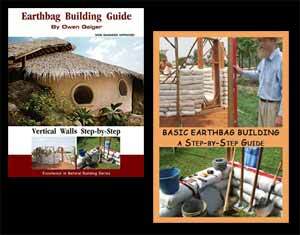 I have been thinking of building a long ranch style earthbag home and I think the layout of this kitchen would be absolutely perfect. I could redraw the kitchen from memory. Only half the kitchen is shown. It wraps around on the right with a large 8′ wide swing out pantry plus linen storage area. The cabinets continue on the left into a butler’s pantry. There’s a sloped ash wood ceiling. And see the phone desk next to the tambour appliance garage? 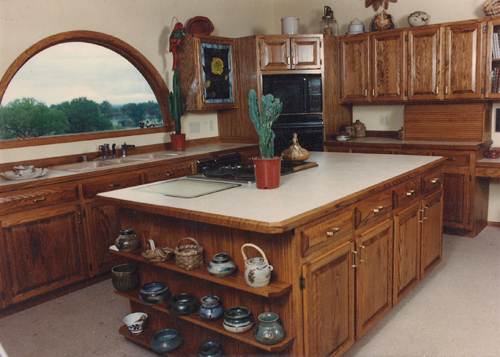 Plus, there are all sorts of built in extras like spice shelves behind the stained glass, built-in glass cutting surface on the island top, roll out trays, etc. I love it. Email me if you’re interested in hiring me to draw something similar.